Time. It seems like we either have too little or too much of it, but in reality, we all have the same 24 hours in a day. How we use our time ultimately comes down to concepts like focus, efficiency, mindfulness, and choice. But how often do we take a deep dive into how we think about time and use it? More likely we just complain about the lack of time or lament over lost time. Starting with the Big Idea of time and moving to an essential question of “How can I find time for everything”, the challenge to “Make Time!” is designed to be pursued as an individual or as a group. A thorough investigation of what time means, cultutela and community oersoectives of time, how we use it, what we consider important and how we can use our time better will result in a deeper understanding of time. Through this personal understanding of time we can develop, implement and evaluate meaningful solutions for moving forward. Essential Question: How can I make time for everything? Where do I feel like I don’t have enough time? When do I feel like I am wasting time? 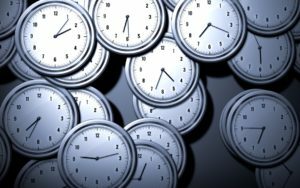 How and why is the concept of time different across cultures? What can I learn from these perspectives? What do I use to keep track of time? How do I define quality time? When do I feel the most productive? Why? When do I feel hurried? Why? Is the problem time or focus? Take time every evening to reflect on how you used time and how it made you felt. Keep track and note when you feel like you are wasting time. Keep track of what you give time to without thinking about it. Talk with your friends about how they see time.